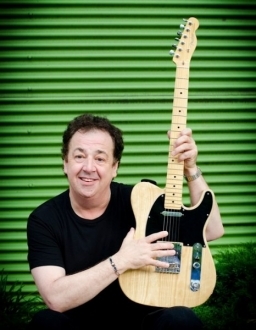 After many years in the music industry as a lead guitarist and side man, acclaimed UK rock musician Nigel Bennett released his debut solo album, Truth Or Consequences, on October 23, 2012 (Zip Records) in North America. The CD will be released in Europe in January 2013. Suzanne Kelly gets talking to Nigel about his new CD, touring, talent shows – and Donald Trump. Bennett, lead guitarist for the British punk band The Vibrators, is taking centre stage as he flexes his musical virtuosity as a solo performer and front man. 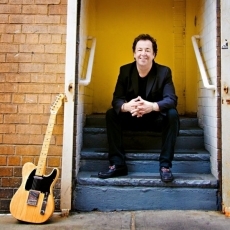 Truth Or Consequences features 13 tracks that highlight Bennett’s appreciation for styles ranging from country-tinged melodies to hard rock instrumentals to reggae. Pat Collier produced the album (Primal Scream, Robyn Hitchcock, The Vibrators). During Bennett’s reputable musical career, he has performed with and written a hit single for The Members (“Radio”) and toured with Julian Lennon. In the heady days of the late 1970s, punk bands formed, changed personnel, and split up with ferocious frequency. 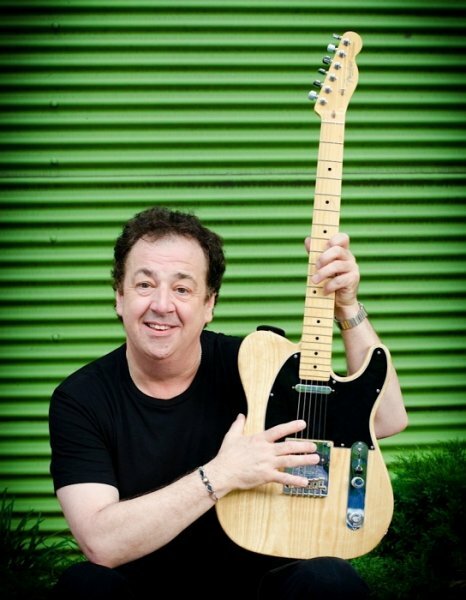 Nigel Bennett started in the Punk scene as guitarist for the Members; more recently he toured with The Vibrators (on guitar in place of Knox, who has semi-retired). We start by discussing his first solo album. Nigel tells me the album title ‘Truth or Consequences’ comes from one of the many long US tours he’s been on. Passing through the mid-West, the band drives past a sign for a town called ‘Truth or Consequences’ – he is intrigued. Apparently, the entire town voted to change its name to reflect the title of a popular television game show. Only in America. The album has many influences, but there is a small touch of punk throughout most of it, whether in rockabilly/western/punk track Rubidoux, or in the lyrics of ‘Another Day’ – a break up song which is sad, but still lyrically a touch sarcastic and humorous, too. ‘The Edge’ is very much an American western instrumental; it is followed by ‘Breezy,’ a track which puts me in mind of classic American bands; it makes me think of acts from The Eagles to The Grateful Dead. Nigel tells me he likes all forms of music – anything that is performed well. We discuss how the music was made in no small part by the turbulent times, and we talk about music today. Simon Cowell and today’s pop inevitably come to the surface. We wonder whether the proliferation of television talent shows hasn’t made people more interested in fame than in honing their musical skills. “The thing is, people like virtuosity – human beings love to see another human doing something extraordinarily well, whether in music or like in the gymnastics in the last Olympics. To see someone playing brilliantly – I can’t get enough of that. There doesn’t seem to be as much of that now as there was in the past. He asks me what’s going on in Aberdeen and in Scotland. An hour later, after I’ve told him the basics, he tells me of his paternal Scottish roots which are important to him (but he has no desire to open any golf courses). And what does he make of Donald Trump? Nigel’s new album may well displease punk purists; it can be difficult for some artists to move between genres. We discuss the example of the violent reaction Jello Biafra received (he was seriously assaulted in a bar and called a ‘sell-out’, allegedly due to his straying from what purists wanted from him), while David Bowie at age 66 is releasing a new single, and reinventing himself once again. “The whole thing about the album is that it’s showing another side of me. Punk is only one limited part of music. I had all these various ideas sort of lying around for a year or two or three unfinished, then the opportunity presented itself to do an album, so I started to write them down. We discuss the track ‘In my Dreams,’ which has a reggae feel to it. “When I joined the Members, it was at a time when I went to all the auditions. You had to be very diverse. I went to an Iron Maiden audition; we politely mutually realised that it wasn’t a fit. But they’ve kept it going; they’ve made millions – and they’ve made millions of people happy with it. So – the ad I was responding to was for rock/reggae; some of the Members were very into Jamaican reggae, and I learnt about the off beat. It’s very much a summer song. It’s about a boy feeling very shy, and I can remember that as a teenager. “Then I wrote ‘Another Day’. It’s not about any particular girlfriend; it’s about people breaking up and the memories that go with them. “Singing is new to me, and I’ll write more songs for the next album with vocals. I need to learn to be a better singer. I’ve played lead for 30 years, but I’ve never fronted my own band. Best of luck to Nigel Bennett in this and future projects. PS – The album ‘Truth Or Consequences’ is available from Zip Records, and from good record stores – if they haven’t all had to close down. Goodbye One Up; Aberdeen will miss you.